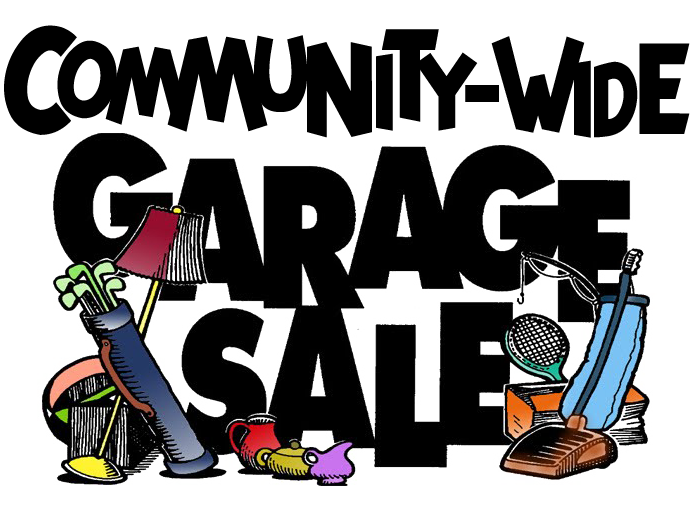 For more information, contact Neighborhood Watch Coordinator Barbara Gellman at bggellman@yahoo.com. Run Hide Fight – Surviving an Active Shooter Event* is a short training video that has been used by many employers to educate their employees. Chances are you will never need this information but just knowing what to do could save your life. *To download a Run Hide Fight handout to share, click or tap the handout image. The handout lists the guidelines outlined in the video Run Fight Hide and includes what to do when law enforcement first responders arrive on scene. Please note: While the guidelines listed are from this workplace video, they could be valuable in any active shooter situation. Why call the Police about Party Houses? What is Northern Division’s CAPP (Community Assisted Party Program)? The police department is powerless to do anything unless they receive a call for service and see evidence of illegal activity. You have to call, then police officers can take enforcement action to stop it. If the police observe repeated violations they can take escalating enforcement measures that will usually result in eventual compliance. Do you have a Neighborhood Watch sign on your street? If you can’t see one from your house, then you may not be connected to University City’s Neighborhood Watch Network. 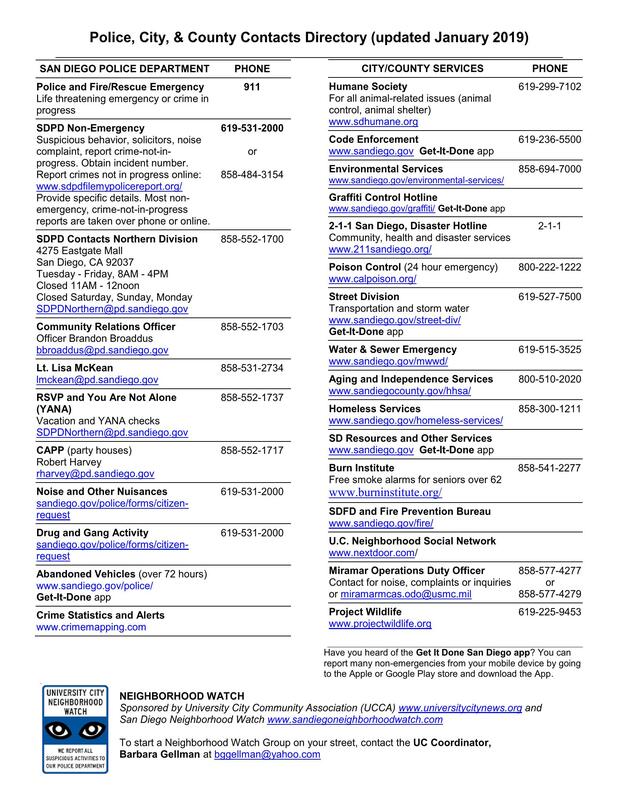 Neighborhood Watch is a crime prevention program that enlists the active participation of residents in cooperation with the San Diego Police Department (SDPD) to reduce crime, solve problems, and improve the quality of life in your area. You will get to know your neighbors, and learn how to recognize and report crimes and suspicious activities, protect yourself, your family, and your property, protect your neighbor’s family and property, and identify crime and disorder problems in your area and work with SDPD personnel to solve them.